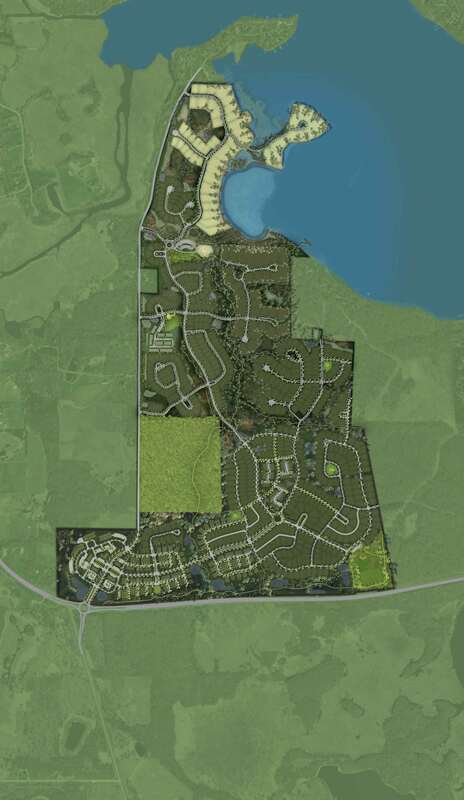 Between the lakefront and off-lake home lots, you are sure to find the perfect property to build your dream home. The waterfront lots on Lake Minnetonka each have walkout potential, two permanent boat slips, and spectacular views of Lake Minnetonka. With the opening of the second phase of The Cove in the Summer of 2018, an 11 acre peninsula with 7 spectacular waterfront lots will be added, each lot will have an ability to have 4 boat slips. The off-lake property overlook natural open spaces, and most lots that are for sale include a nearby exclusive private boat slip. Coming soon, Spring Preview 2019, Gonyea Model Home. This home will include a 26' Slip on Lake Minnetonka. Homesite faces west, is across the street from Lake Minnetonka and is adjacent to open space, partially wooded. Charles Cudd Co. Custom Home with 26' Slip on Lake Minnetonka. West facing, adjacent to open space, partially wooded. Custom homesite for you and your builder. This 3/4 acre homesite faces southeast, has 111' of shoreline, comes with its own 3/4 acre island, two 34' permanent dock slips. Custom homesite for you and your builder. This 3/4 acre homesite faces southeast, has 122' of shoreline, and comes with two 34' permanent dock slips. FOR SALE - Beautiful Nantucket inspired NIH Home - Over 3/4 homesite faces east, has 129' of shoreline, and comes with two 36' permanent dock slips. SOLD - Custom home by Denali - Over 3/4 Acre lot included 119' of shoreline, and comes with two 36' permanent dock slips. SOLD - Customer home by Landmark Homes - This 1 acre lot included 156' of shoreline, and three 32' permanent dock slips. SOLD - This one acre plus lot included 116' of shoreline, and two 32' permanent dock slips. SOLD - Lecy Brothers Custom Home. This 3/4 acre plus lot included 118' of shoreline, and two 28' permanent dock slips. SOLD - Charles Cudd Co Custom Home. This 3/4 acre plus lot included 122' of shoreline and two 28' permanent dock slips. SOLD - Charles Cudd Custom Home. Lot included 118' of shoreline, and two 28' permanent dock slips. SOLD - This one acre lot included 125' of shoreline, and two 34' permanent dock slips. SOLD - Stonewood Custom Home. This acre plus lot included 115' of shoreline, and two 34' permanent dock slips.